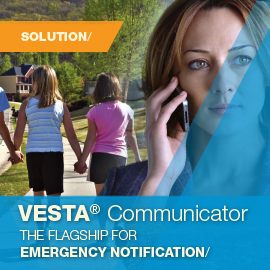 VESTA® Communicator offers the very latest in web-based emergency notification. Users can access via web browser, to easily managing crisis communications from any location. 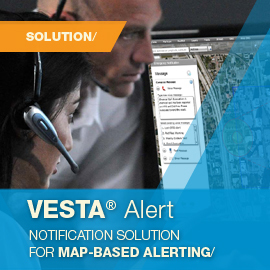 VESTA Alert is a software application that integrates web mapping technology to provide advanced location-based automated notification. LogMeIn is the preferred remote diagnostics solution for supporting Vesta Solutions, Inc. notification solutions. LogMeIn allows our technicians to connect remotely over the Internet. LogMeIn is highly secure and has proven to be a highly reliable and time saving solution for remote assistance and diagnostics. See to https://secure.logmein.com/products/pro for additional details. pcAnywhere is our preferred remote diagnostics solution when dial-up modems are the only available option for remote assistance. pcAnywhere allows our technicians to connect remotely using a 56K modem and analog phone line. Not only does pcAnywhere provide a high-level of security, it also offers a wide array of features. GoToMyPC – Customer provides subscription. 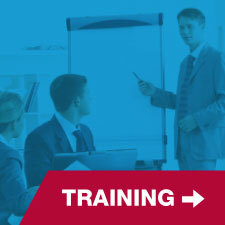 WebEx – Customer provides the WebEx sessions as needed. Live Meeting or Other Web Conferencing Utilities – Customer provides the meetings as needed. VPN Token Generators – NSS Technical Support cannot maintain customer provided VPN token generators. If a token generator is required, the customer maintains the token generator and provides Technical Services the token keys as needed. Employee Information – NSS Technical Support prefers not to provide personal information about its employees. Not All VPN Solutions Are Supported – We cannot guarantee compatibility with all VPN solutions. 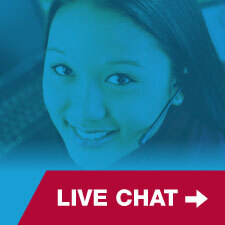 Check with NSS Technical Support if you have any questions concerning your VPN solution.